Moschetto & Koplin, Inc. family law Attorneys Bellevue, personal injuries Queen Anne, workers compensation Capitol Hill and social security King County. Pattie has worked as a family law paralegal at Moschetto & Koplin, Inc. beginning in 2009 and has over 20 years of experience working exclusively in family law. Pattie has been a paralegal since 1990 and was voted Professional of the Year by the WSBA Executive Committee-Family Law Section in 1994. Pattie was also hired as the first Family Law Facilitator for the King County courts. 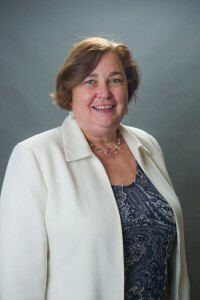 Pattie has won numerous awards and honors, including the Mercer Island Acorn Volunteer of the Year, a nomination for Certificate of Distinction for performance in Legal Research; Family Law, and Estate, Probate and Trusts at American Institute for Paralegal Studies. Pattie has received comprehensive paralegal training and education and she routinely assists the M&K attorneys with all complex family law matters. Pattie approaches each case with both empathy and realism, using a no-nonsense approach to effectively advocate for each client. Outside of her professional accomplishments, Pattie has been married 29 years and is “still raising” her two children who are now in college. "I am forever grateful for all the work Mr. Koplin did on my case. And I know exactly what contributed to such a positive outcome: Joe's great knowledge, relentless persistence and his incredible experience in his field. I can also tell that Joe cared about my case and me as a client – and that’s extremely rare and priceless. "